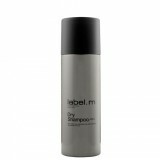 label.m is one of fashion’s true originators – leading the way by pioneering innovative formulas. Inspired by hairdressers, to shape the future. 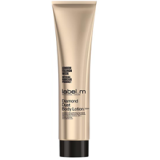 Luxurious and skin perfecting Diamond Dust particles deliver intense moisture and silkiness, leaving skin glowing with a radiant diamond shimmer. Complete your 3-step Diamond Dust regime by applying this indulgent all over Body Lotion for instant luminosity. Size: 120ml RS Price: R250 Availability: From selected Splush stores.